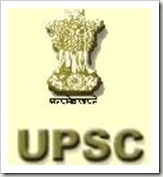 BE/ BTECH (Electronics, Radio Engineering) required in Union Public Service Commission (UPSC). Posted in Apply online, Electronics and Communication, Government Job, Job After Btech, Radio Engg.. Tags: 2011., Engineering Services Examination, Government Jobs, January 2011, Last Date: 7 January, Union Public Service Commission, UPSC on January 10, 2011 by kavita joshi.